OLD PARKED CARS. 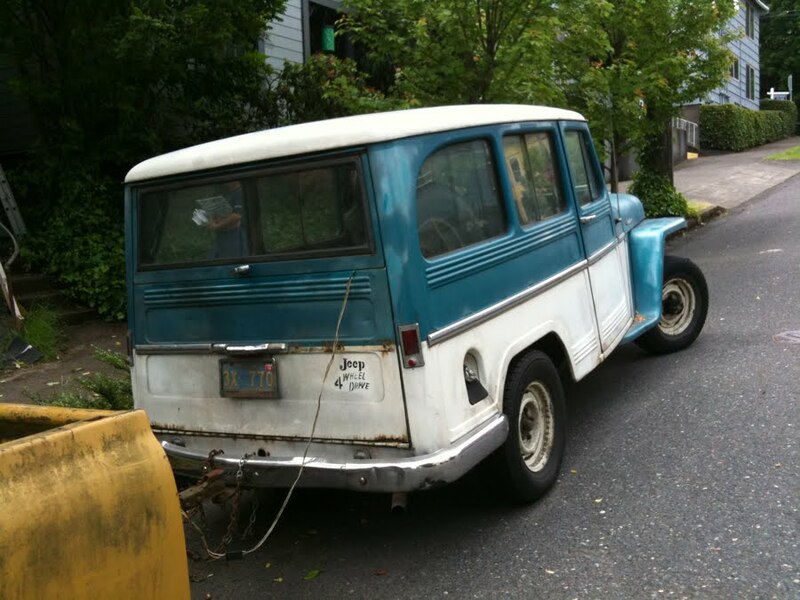 : 1960 Willys Jeep Wagon with Trailer. 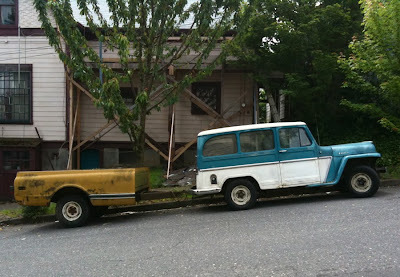 1960 Willys Jeep Wagon with Trailer. there's one of these that's always for sale on ebay, restored within an inch of its life. it's in the same color scheme, so i guess that's factory legit. awesome seeing this unrestored and put to work. 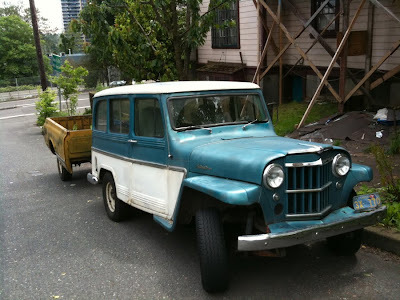 funny that these jeep wagons are more common than cjs from this era. i really really really want to commute to work in something with a flip-down windshield and no roof, doors, roll-bar, or windshield. i've probably said that before.